Fix the dreaded unidentified device issues and offer you more complete, up-to-date solutions for your windows system drivers. Driver Restore comes with the advanced scanning technology that helps in maximizing your PC’s performance by upgrading it’s outdated drivers. The entire scanning process is free of cost but a user will be charged for automated download and update drivers, with user’s consent of course. We have used the combination of latest innovations, self-imposed standards of program development offering better user interface that is easily accessible. Our users will be more than happy to use the program that can save your pockets and time as well. 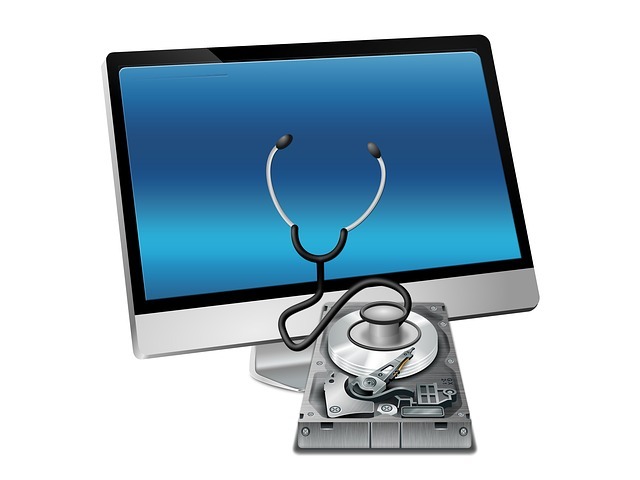 Driver Restore is widely used as a tool to update missing or inappropriate Windows drivers. This driver update software is a suitable choice for Windows 10, 8.1, 8, 7, Vista & XP. Driver Restore can help restore your PC’s overall performance, stability, efficiency and speed up the working of the Windows. Just download and allow the software to scan the system for missing and outdated drivers. The process to download & install driver restore is very simple. 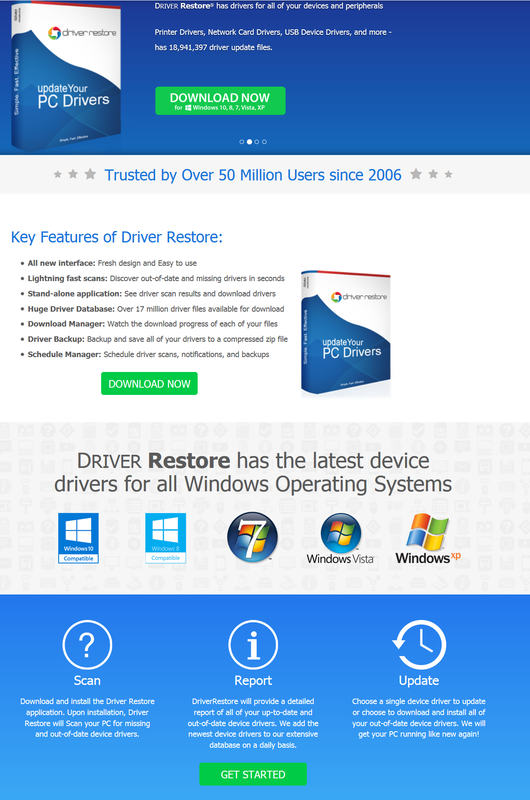 Driver Restore is categorized under the computer software & utility tool section as a useful and totally safe program drivers updater software. To ensure the end user gets the best of functionality, driver restore is tested to keep it free from any kind of malware or virus. Also, Driver Restore doesn’t support any unwanted adverts, extensions or programs that may be harmful for your PC. It is our topmost priority to maintain the security and integrity of the user. Additionally, user permission is required to carry out each of the action related to the running of the program i.e install, scan, download and update. The utility software will not run without the consent of the user. What is the role of Driver Restore? Several issues on your Windows system are often associated with faulty device drivers. General queries that arise are: what are the reasons behind the issues due to drivers or why is it necessary to keep the system drivers updated? Corrupted or missing drivers often result in file issues, communication issues, or malfunctioning of the hardware in Windows. Common issues include no sound, printing issues, video / screen issues. It is essential to update your Windows device drivers to ensure the system is running in a proper and effective manner. Outdated, corrupt or missing drivers will often result in different kinds of issues on your PC. Hence, to prevent such issues, the drivers must be updated at regular intervals of time. A simple solution to end the driver-related issues is to update them. This is where the role of Driver Restore comes into play. You can easily restore the working of old or missing drivers using the software. This driver updater tool will help scan the system, detect the faulty drivers and update the required drivers, once permitted. A computer system with updated device drivers will provide better performance, less crashes, fewer device-related issues and an enhanced windows user experience. What are the features provided by Driver Restore? Huge database of drivers: you will get to choose from a database of over 11 million drivers to update the drivers of your Windows OS. Click on the ‘Update’ button and Driver Restore will fetch the most accurate and compatible driver according to the detected device. Quick Updates: You will no longer have to spend hours on updating the missing or corrupt drivers. Driver Restore helps save your time by facilitating you with fast updates. Within a few minutes, the software will find and update the required drivers. Fast and Enhanced Scanning: Driver Restore will quickly scan the system and detect the outdated and missing device drivers in your system. A quick scan report will enable a fast updating process of the required drivers. This will liberate you from the tedious and time-consuming task to update various drivers in the PC. Compatible drivers: Driver Restore supports Windows 10, 8.1, 8, 7, Vista and XP device drivers (also read – How to update drivers in Windows 10). It is specifically coded to download only the official versions of the drivers that are compatible with the model and type of your device. Saves time: It is a time-consuming and difficult task to update the device drivers manually. You will have to search the web in order to get the most compatible drivers for the device. Driver Restore saves your time and accomplishes the updating process in few clicks. What are the advantages of using Driver Restore? Driver Restore helps you detect & fix the driver updates for Windows system. Once your PC drivers have been updated, the functionality and performance of the windows will be enhanced. Driver Restore ensures maximum PC performance without any driver concerning issues. Our driver updater utility tool will update all your outdated, missing or corrupt windows drivers. This will help to fix all of the PC driver issues, most of the hardware related issues, thus, making certain that the device drivers are managed properly. The quicker the drivers are updated, the sooner your computer will run efficiently. The driver updating process is limited to a few clicks and is majorly a 2-step process. You can get up-to-date drivers for Windows system in quick and easy steps. Driver Restore ensures that its users are facilitated with a safe and secure environment. We strictly follow the security standards to provide privacy assurance and data integrity. The official website is developed to ensure safe online transactions. We have a dedicated support team to handle any of your issues related to the product or its functionality. You can also read driver restore reviews from actual customers for more insights & feedback. Driver Restore is a simple and step-by-step process to update Windows drivers. The developed interface is user friendly and you can download the required drivers with just a few clicks.